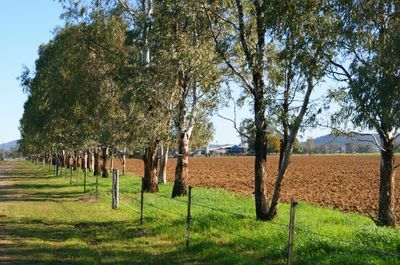 “Tulare Park” is conveniently located to Gunnedah with beautiful frontage to the Namoi River providing secure water and wonderful recreational opportunities. 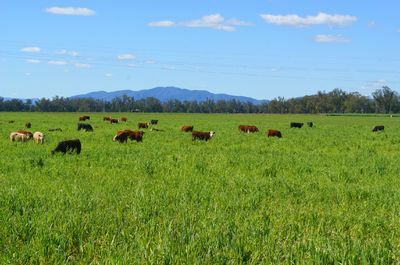 The rich alluvial soils promote abundant pasture growth providing excellent feed for a breeding or fattening operation. 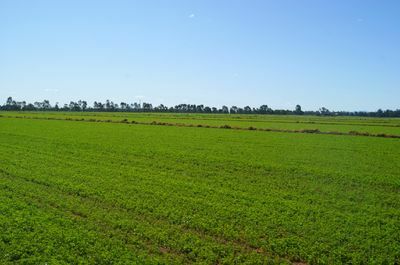 The property is very productive suited to a diverse range of agricultural enterprises with the irrigation providing security of production and strong cash flows. 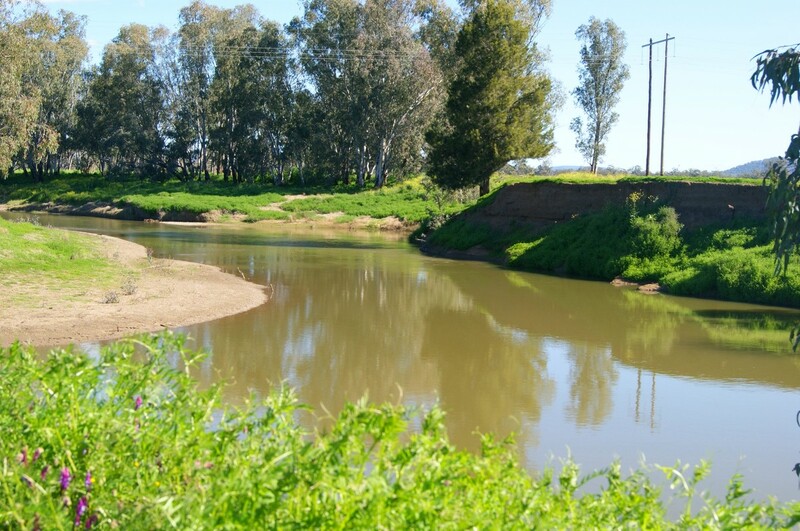 Seldom do well-presented properties such as “Tulare Park” become available for purchase – don’t miss this opportunity. 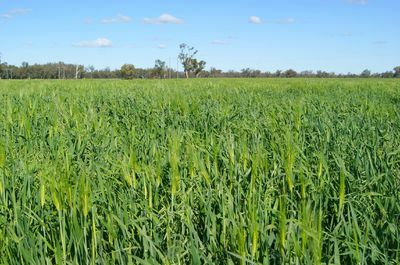 Fertile flat open river country with 8km frontage to Namoi River . Alluvial river loams to chocolate. 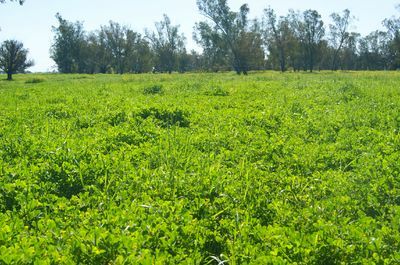 The natural and improved pastures include sub-clovers, clovers, phalaris, ryegrass, barely grass, paspalum and liverseed. White box, Yellow box and River Gums. 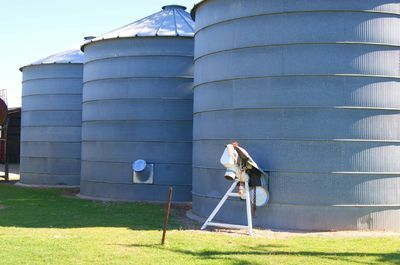 The property has excellent stock and domestic water supplied from a bore equipped with electric submersible pumping to 10,000 gallon tank and reticulated throughout the property. 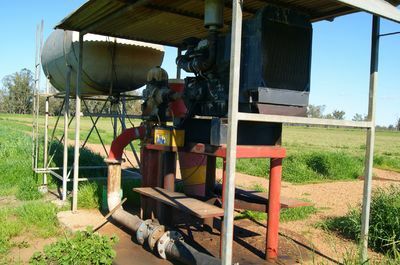 One irrigation bore equipped with 6-cylinder motor supplying flood irrigation to 40 acres of lucerne. Water supplied through 6” aluminium pipes with taps flooding individual bays. 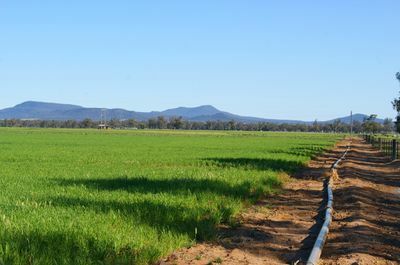 2 addition underground outlets for spray guns in adjoining paddocks allowing for another 60 acres of irrigation. 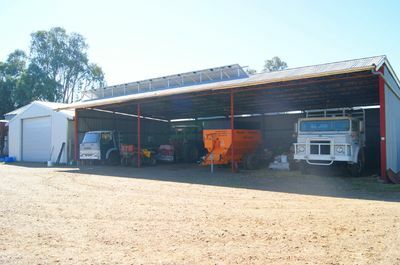 105 megalitre WAL licence plus 300 megalitre in account..
Fencing is in good condition with the internal fencing mainly electric with 2 electric energizers. Modern 3 bedroom cottage with evaporative and r/c air-conditioning and wood heater. The house has dining room, living room, separate toilet and large rear covered entertaining area. 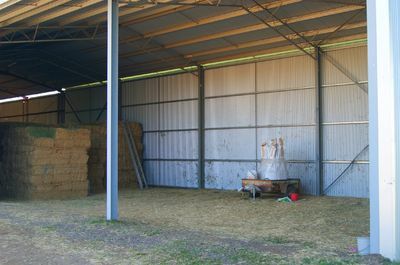 Large new hayshed 26m x 11 m with 12m x 15 m attached existing shed. 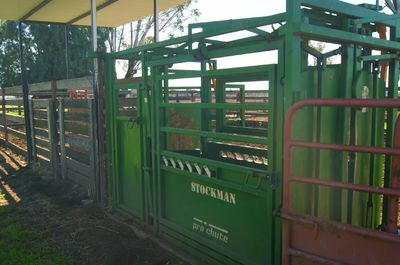 Workshop 16m x 9m fully enclosed with electric roll-a-door. 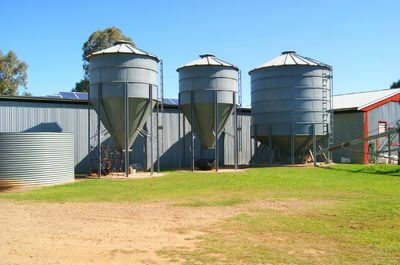 3 x 100 tonne cone bottom silos. $2,565,000 including the water license.